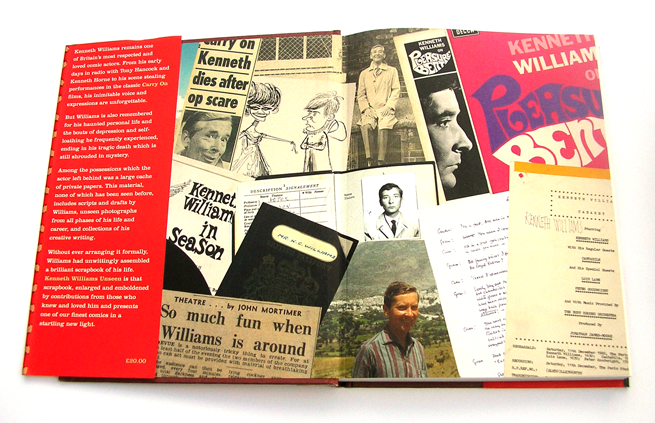 Kenneth Williams Unseen : work – typefunction. 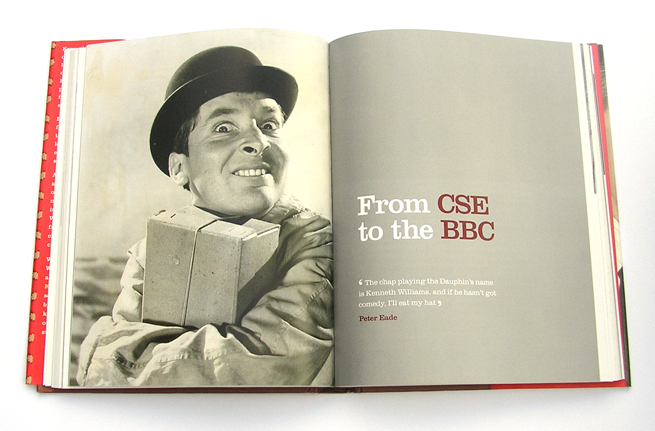 This book focuses on the unseen photography and scripts of Kenneth Williams. 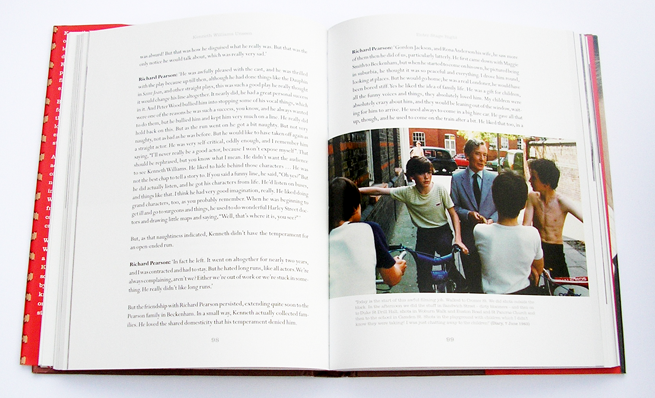 The text is mostly quotes from Kenneth’s friends and colleges concerning their memories of him. The page design had to be adaptable enough to accomodate all different shapes and sizes of image and have some fairly lengthy captions along side the main text. I chose to use the typeface perpetua for the body text in combination with Clarendon for headings and captions, providing a very English style to match Kenneths Character. 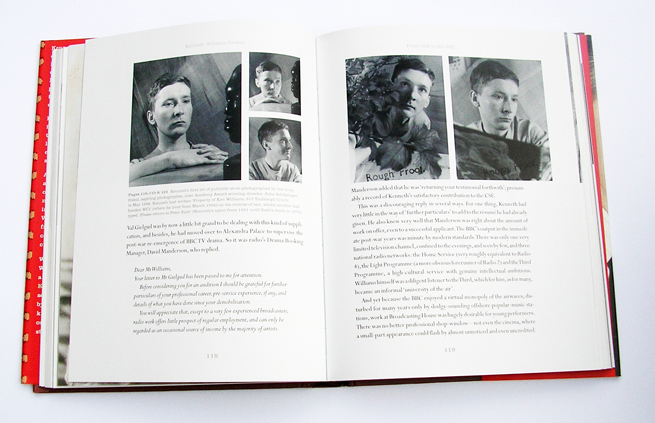 The book also makes use of photo montage’s as seen on the endpapers below.